So you think Ferris is a righteous dude, but how well do you really know him? Test yourself in the mutli-level quiz in total containing 50 questions. Each level will increase in difficulty and change in theme. 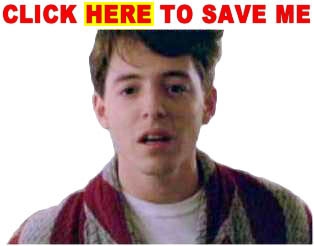 Are you good enough to Save Ferris? Find out now! And at the end there may be a little something for you. This section requires membership to the '80s server, for details on subscribing to gain access to this section of the site and a load of other benefits click here.